Homes are spaces where everything just fits right into its place and you feel safe and secure. 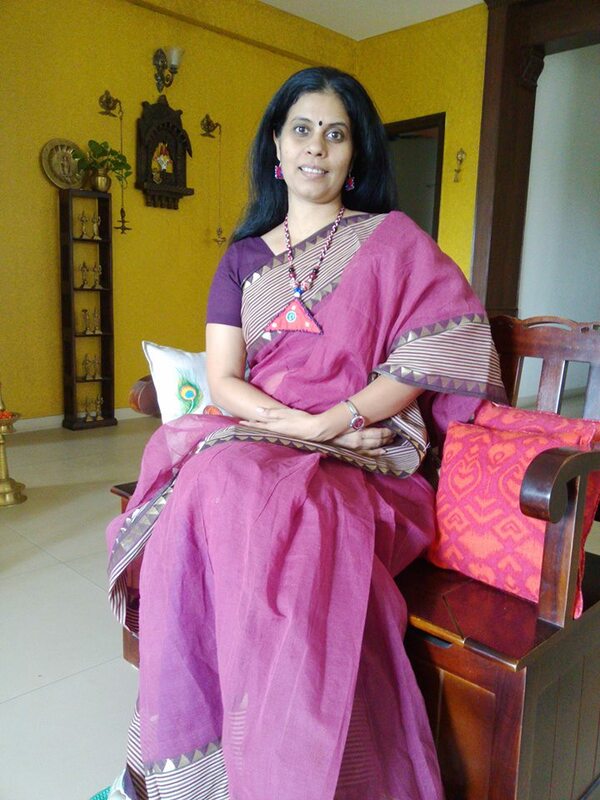 Each and every one of us has a specific requirement and desires for his dream home.Some may want a luxurious or a stylish home, others would prefer comfort and there are others for whom convenience is the major deciding factor. 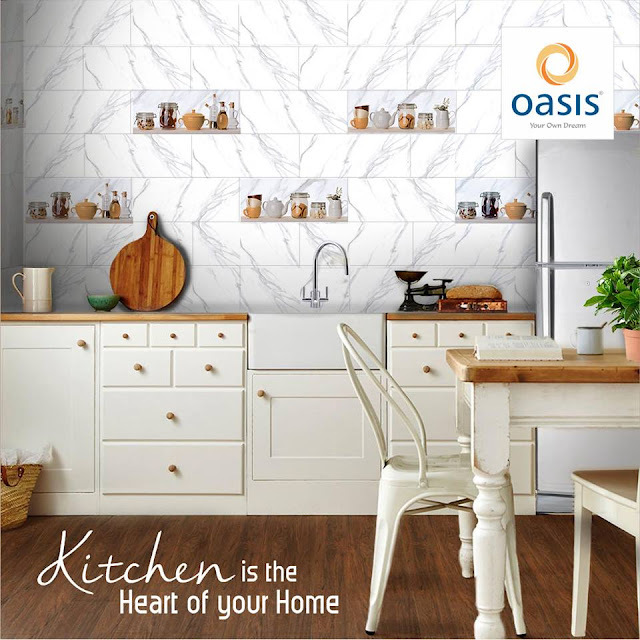 No matter which room or corner of the house it is, tiling shall always remain the most prominent feature of any home. And needless to say, every kind of home owner would like to lay the best tiles available in the market. If your tiling is appropriate for the space, it completes the decor and gives every room its distinct personality. It is also not wrong to say that the kind of tiles used in decor determines the overall look of the space to a large extent! Isn't that true? 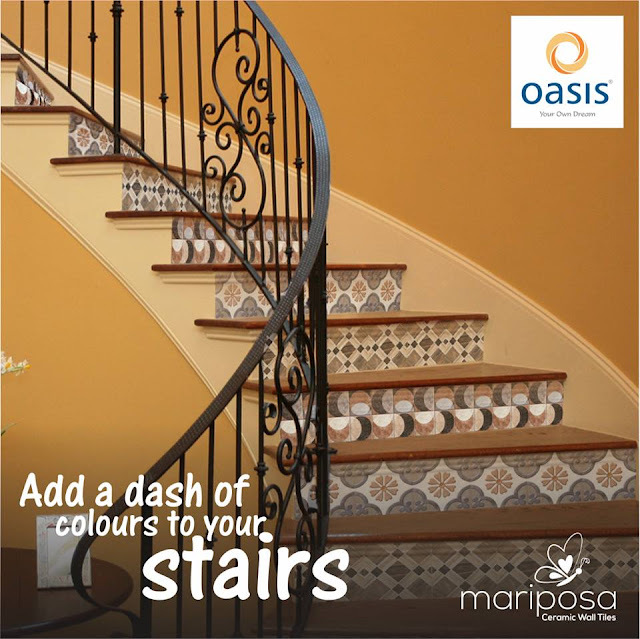 One such name in the tiling industry is Oasis Tiles India and they have come up with an admirable range of tiles for floors, walls, staircases and the outdoors.With every collection you will note how the room comes to life! When you implement tiles in your decor scheme, there are various factors to be considered.Apart from your lifestyle, budget, local climate, maintenance etc. other feature to be noted are glossiness, stain free surface, shine,strength, non-slippery,durability,scratch resistance and designs. 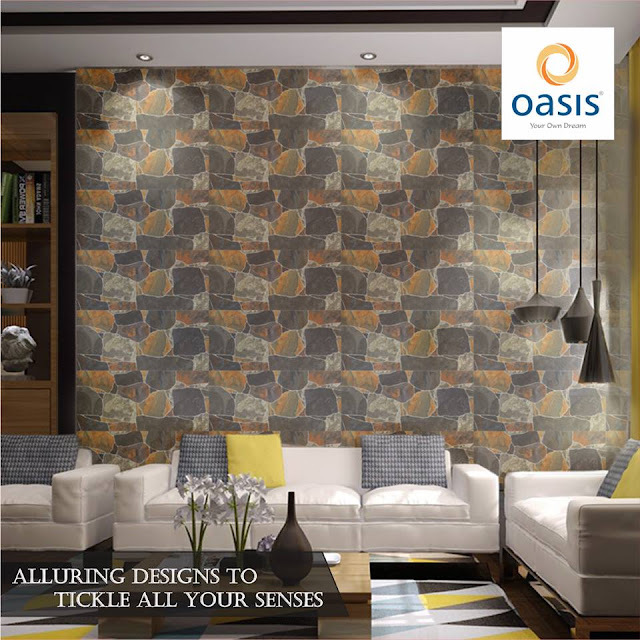 Oasis Tiles India has a wide range to choose from, that meets all the requirements. Today let us talk about the following three variety that has been recently introduced. Oasis Tiles India recently launched its exclusive range of high value Double Charge Vitrified Tiles - MAXIMA. It is the largest range of Double Charge Vitrified Tiles in India. With a stylish and sophisticated look coupled with great strength, Maxima not only caters to domestic requirements but is also a perfect fit for commercial spaces. These are wall tiles and floor tiles available in the sizes of 1200x800mm and 800x800mm. 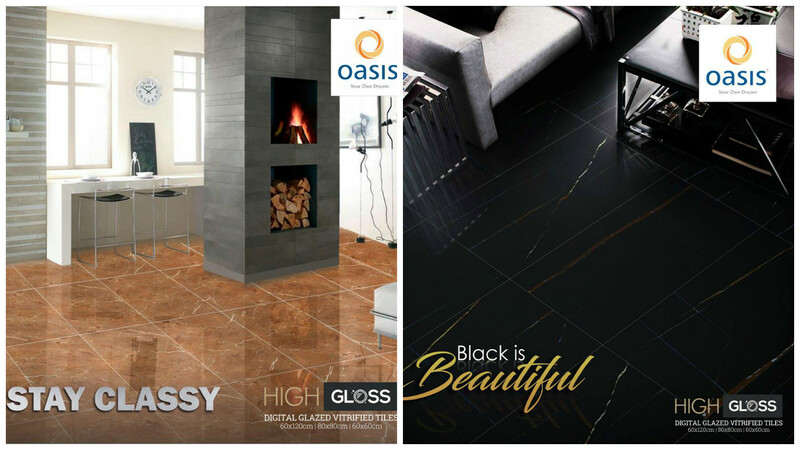 Oassis is the pioneer of the 800x800mm type in India. Great Strength, More than 90% glossiness, nano coating and stain free are the major features of Maxima. Adds the 'oomph' factor to your decor with its classy appearance! A thin layer of glaze gives superior brightness and shine to this range of tiles. Suitable for interior wall and floor in residential as well as commercial complexes. 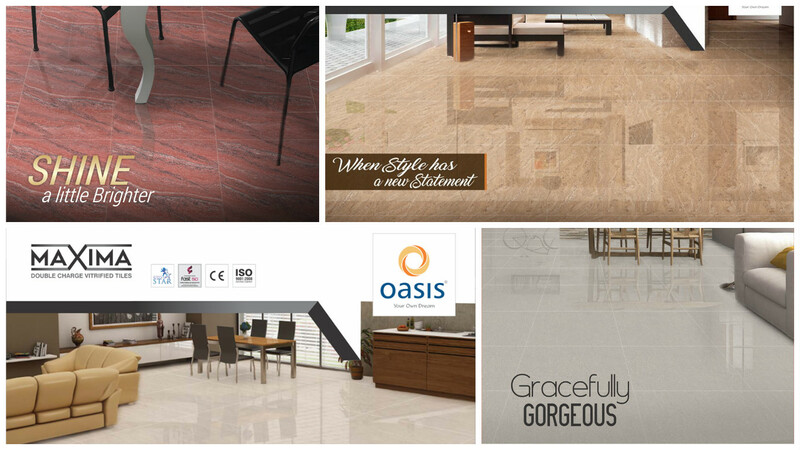 Due to its high gloss, durability and scratch resistance, this series can easily replace the Italian marble. The available sizes are 1200X600mm, 800x800mm and 600x600mm. This is a series of ceramic wall tiles. Being ceramic tiles, they are heat resistant and can be cleaned easily. In various colours and patterns, these tiles are available in Glossy finish, Satin finish, Rustic and Matte finish. 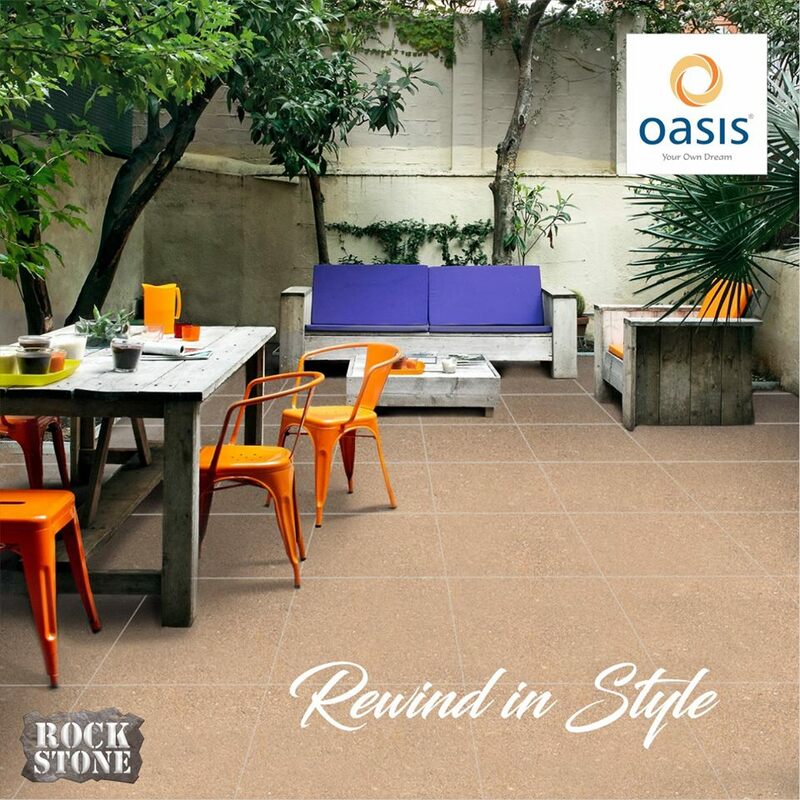 The brand also offers tiles well suited for the outdoor space.A high-tech finish, perfect sizes, alluring design and texture on every piece makes the digital outdoor vitrified tiles and the digital parking vitrified tiles absolutely refined and inimitable. perfect for the outdoor space ! 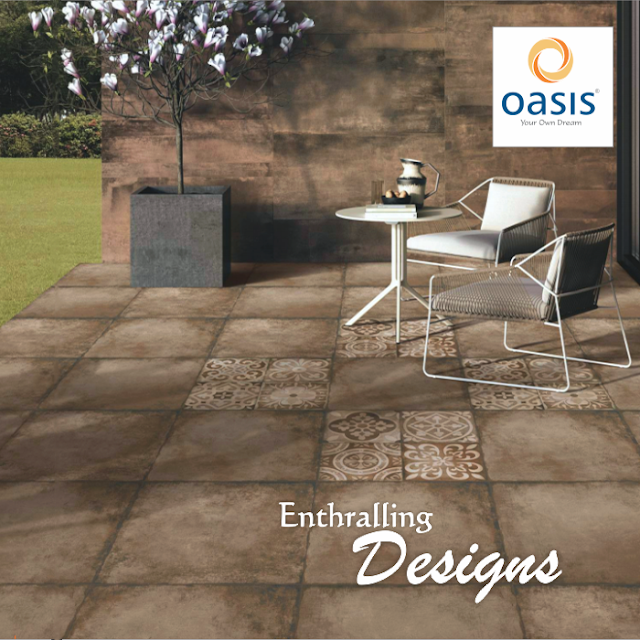 Oasis Tiles India has versatility in design and size.These are tiles that can maintain their appearance over time, handle heavy traffic thus their area of usage is limitless indoors as well as outdoors.